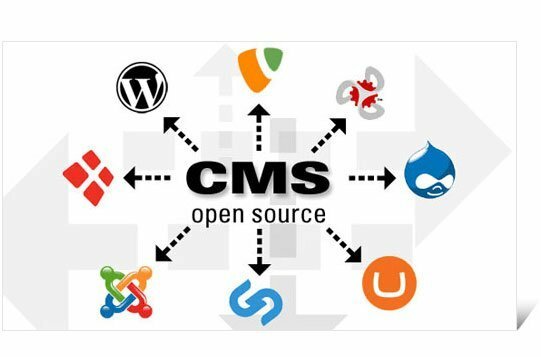 With WordPress being one of the most popular CMS platforms, it comes as no surprise that there are literally thousands of themes and templates available for users to download and use for their own websites. Making a website has never been easier, whether you’re a restaurant owner, a graphic designer, or simply want an awesome blog, there’s something for everyone with WordPress. WordPress themes are available via their website, with filterable options to find your perfect design. Themes come in free or premium (paid) formats, but if you have the choice of free, why would you choose to pay for one? 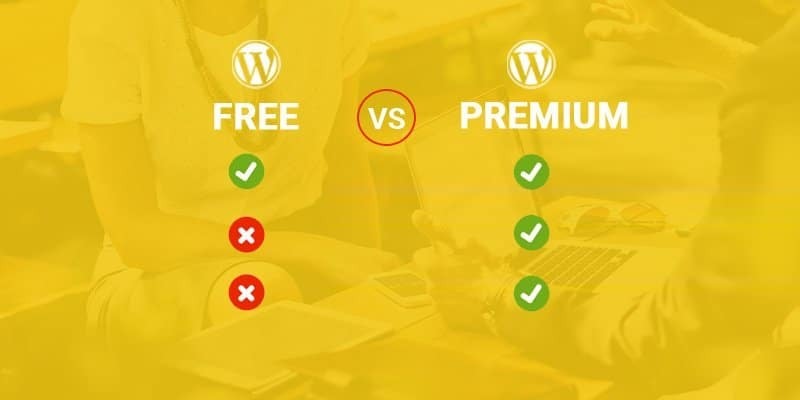 We’re going to cover the pros and cons of free versus premium WordPress themes so that you can make an informed decision as to what type would be best suited for your personal or business website. 1. First things first, they are free – not a single payment is required for free WordPress themes, allowing you to download and install your desired theme directly to your WordPress website. Unlike some CMS platforms, free really does mean free with WordPress, meaning there’s no hidden charges or added extras you can purchase. 2. Free themes are designed and developed by WordPress experts; taking their time to put resources together for WordPress users without a cost. Naturally, this means that free themes are less resource hungry compared to premium themes, and generally are easier to use because there are less features. 3. 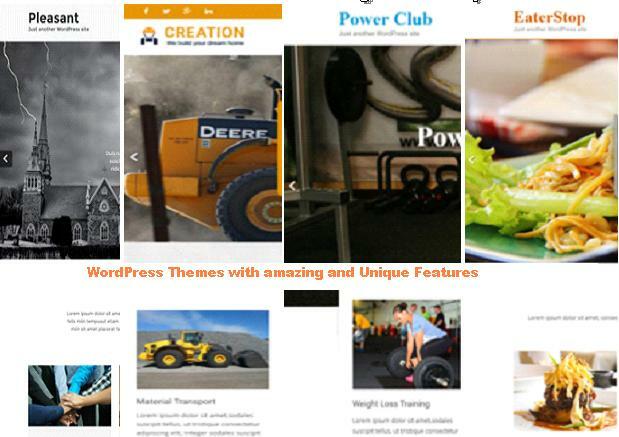 If you download a free theme from WordPress’s website, you can be reassured that your theme is going to be pretty much flawless, as all themes must go through a strict process of review to ensure they are suitable for any user. Bug testing takes place, as well as regular updates with multiple plugins and WordPress itself, meaning you shouldn’t need to fret as to whether your version is compatible or not. The beauty of WordPress, and what attracts many users to its platform is just how easy everything is; free themes can be installed via the ‘appearance’ and ‘themes’ tabs within WordPress, so there’s no coding skills required to get your website design up and running in minutes. Many different hosts now offer dedicated WordPress hosting, so with a click of a button, you can install WordPress (and any related themes) to your server, absolutely hassle free. So far, so good, so what’s the catch? 1. Because free themes are free, they often come with very limited support, if any at all. If you know what you’re doing and you’re confident that you can troubleshoot and issues you might encounter, then it’s not much of a worry. However, if you’re a beginner, this could be off-putting as there won’t be anyone on hand to help out (directly anyway). Saying that, because the WordPress community is so large, it’s often quite easy to seek help from others on the WordPress forums, or external links. 2. As we said earlier on, free themes are less taxing on resources because they tend to come with limited features. If you’re not fussed on certain features, then you won’t have to worry, however, if you are keen to implement more advanced features into your website, then you may want to consider a premium theme. 3. If you want your blog or website to be completely unique, you’re not likely to achieve the results you desire with a free theme. Free themes are available to every WordPress user, so the likelihood of someone else using the same theme as you is very high – obviously you can customise your theme to some extent, but combining the limited features aspect, it’s quite easy to spot a free WordPress theme on someone’s website. 1. Premium themes offer something a little extra, as you’d expect, as you’re paying for them. Most premium themes come with more functionality and feature options to choose from, allowing them to be more customisable compared to free themes. 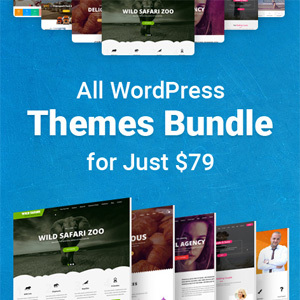 Some themes offer high-value plugins that are usually paid for separately, but come as part of your premium theme package. 2. As you’re essentially paying for someone else to design and develop a WordPress theme for you, premium themes offer much more support to their users. All premium theme developers are available to provide help should you need it, whether it’s via a forum, email, or voice call, you’ll be able to contact them with any questions or queries you might have. 3. Premium themes are unique; because more people opt for free themes (because they’re free), less people are nabbing the paid themes on offer. Many large companies, such as, Sony Music, use premium WordPress themes, and you wouldn’t even know it! Along with being able to fully customise your premium theme, you can make your website absolutely unique and truly stand out above the rest. 4. Security is a high priority on premium themes – the market is competitive for developers, so they constantly strive to ensure that their themes are the ‘ones’ to choose. 1. As well as being able to purchase premium themes via WordPress, there are lots of other external websites that offer WordPress themes, and follow the same strict procedures, like Theme Forest. Although the market is competitive, premium themes do come at a cost, and that cost can sometimes be pretty high. However, if you compare the price of a premium WordPress theme to hiring a web designer and developer, you’ll realise that the cost is not comparable. 2. Although it’s part of our pros list, too many features in premium WordPress themes can be considered as clutter. Users might purchase a premium theme for several of its features, but not use the rest, causing unnecessary data that can slow your website down. 3. Contrary to popular belief, premium themes don’t require to go through any kind of review process, unless the website you’re purchasing from demands it. This means that you could end up with a website that looks great to users, but under the covers doesn’t use a proper code practice, causing further back-end problems for your website. We’ve given you quite a lot of information on free versus premium WordPress themes to digest; understandably it’s a bit of a minefield, with pros and cons of each. So, how on earth do you decide which option is right for you? Choosing whether you opt for a free theme or purchase a premium theme is really down to your preferences, and what you expect from your website or blog. If you’re starting a personal blog, showing off your new portfolio, or testing the waters to see how your business grows, a free theme could be the perfect choice for you. There are thousands of free themes to choose from, so you can always experiment with a few to see which best suits your personal or business needs. If you’re not fussed on features, then it’s a great starting point to find your feet – at least you won’t be paying for something you’re not sure about, but you can figure out exactly what you want from your website, and upgrade to a premium theme later down the line. If you already know what you’re looking for, and the free themes on offer don’t quite cut the mustard, then a premium theme may be a better option. Large and growing businesses often opt for premium themes to ensure that they can customise their websites exactly how they want them, with all the features they need for their business setup or online store. Often purchasing a premium theme works out cheaper in the long-run, as you won’t need to pay for a website designer to come in and tailor your website to your needs (as you can do this yourself). You’ll also receive support as and when you need it, so it’s a bit like having a personal designer to hand at all times, without the extortionate costs. Whatever option you choose, make sure it’s right for you. The choices with WordPress are truly endless, allowing you to add/remove themes as and when you want to. If you’ve never used WordPress before, give it a try and don’t be shy to play around with some themes to get the hang of it – you may just come across something you love. Don’t forget, there are thousands of plugins to use alongside the theme you end up going for, so if you know what you want, do some research into your theme to make sure that it supports the features and plugins you’ve got your eye on. You may find that a free theme suits you perfectly, or you may opt for a premium theme that gives you a little more customisation to create your perfect website. Jann is a Content Writer at ukwebhostreview.com – She is dedicated to researching the latest technologies and analysing the best hosting providers within the market, providing you all you need to know.